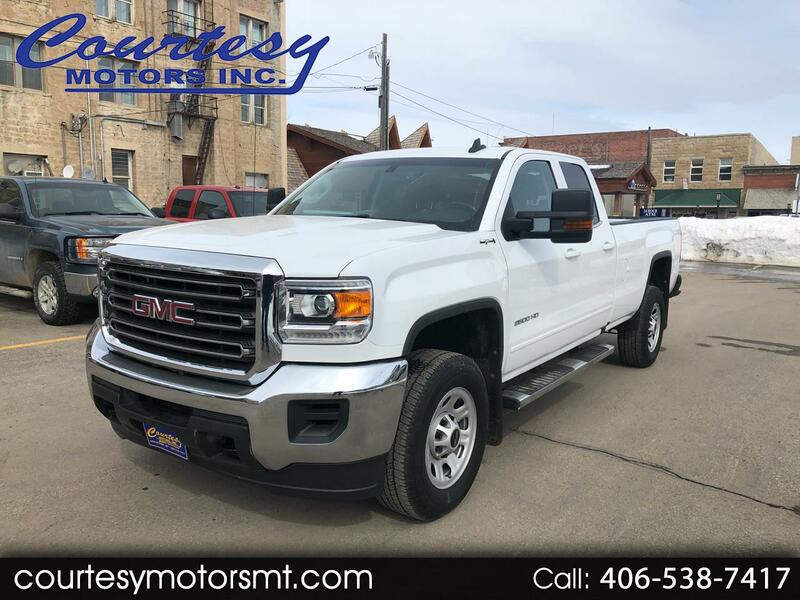 Used 2016 GMC Sierra 2500HD SLE Double Cab 4WD for Sale in Lewistown MT 59457 Courtesy Motors Inc.
Clean One Owner Car Fax on this 2016 GMC Sierra 2500HD SLE Double Cab Long Box. 6.0L gas engine with six speed automatic transmission. Loaded with dual front power heated seats, backup camera, wireless charging, electronic shift transfer case, head and side curtain airbags, and more! Don't miss out on this 2016 GMC Sierra HD!